This beautiful trail takes through to the so called “Kingdom of King Laurin” situated between the summit of the Rosengarten and Vajolet towers. 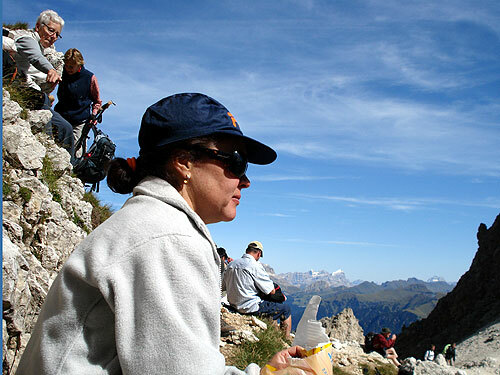 However it is only recommended for well equipped and trained people with via ferrata experience and good physical condition. 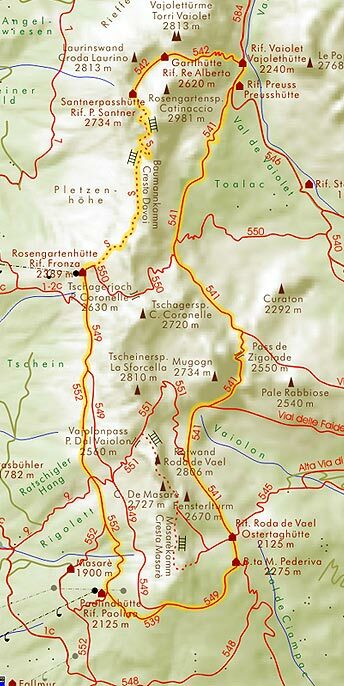 This very strenuous circular route starts at the Paolina hut. First take path no. 552 in northerly direction and then path no. 549, which takes to the Fronza hut. 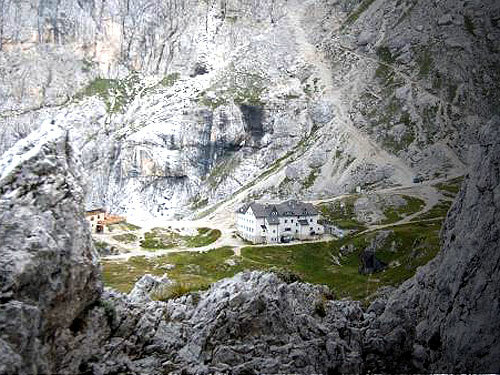 The via ferrata starts behind the hut (mark S) and leads to King Laurin's rose garden. 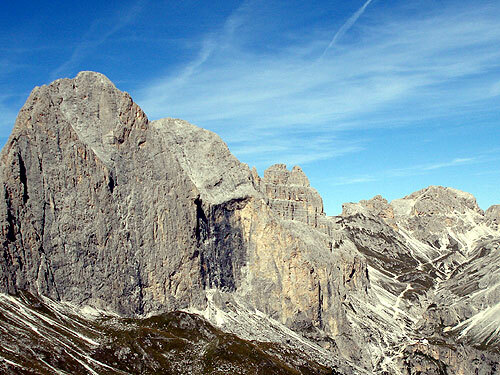 The via ferrata is equipped with steel-ropes and lathers and is sometimes exposed and steep. Via ferrata equipment is absolutely necessary. After going over the Santner pass (Passo Santner) at the end of the via ferrata and also highest point of the route at 2730m head on along path no. 542 and walk past the Santer and Re Alberto hut situated between the Rosengarten and the Vajolet towers before reaching the Vajolet hut after a steep descend. At the hut take path no. 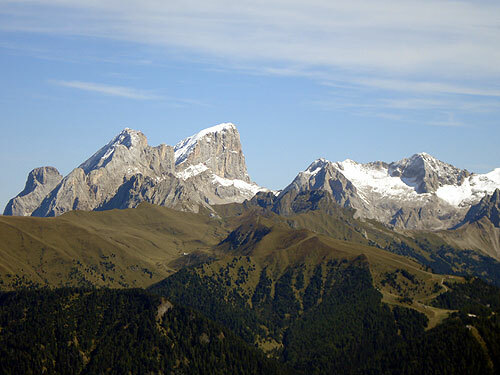 541 in southerly direction to the Cigolade pass (Passo Cigolade) and descend to the Roda di Vael hut (Rifugio Roda di Vael). After reaching the hut head on along path no. 549 in westerly direction towards the Christomannos Monument and finally take path no. 539 which takes back to the Paolina hut. 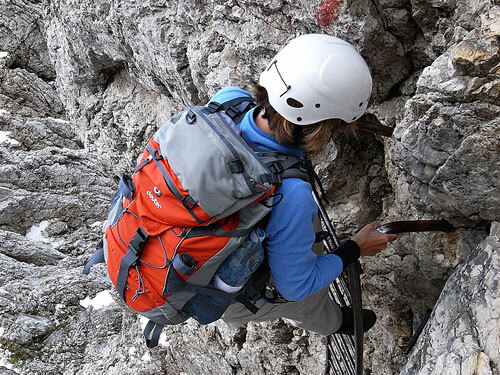 For well-trained mountaineers with via ferrata experience only! Mind the snow on the trail (especially in early summer) which may cover the steel-ropes!